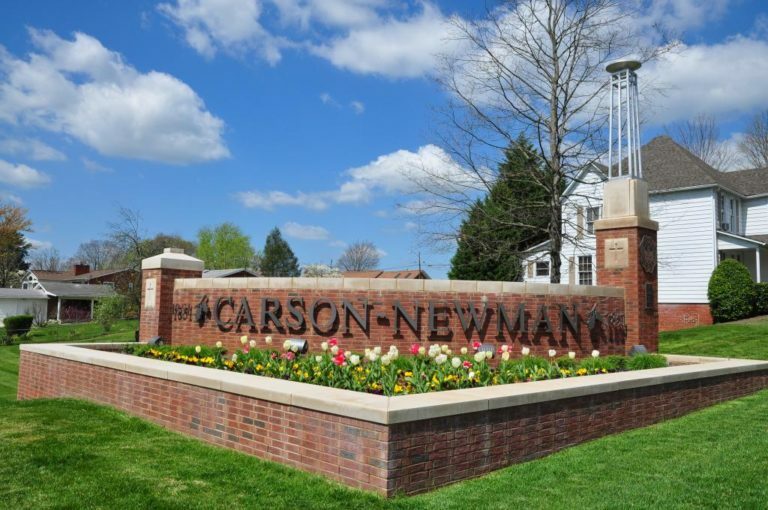 CARSON-NEWMAN UNIVERSITY, founded in 1851, rests in the foothills of The Great Smoky Mountains in Jefferson City, Tennessee. Ranked No. 1 in the South of undergraduate teaching in U.S. News & World Report’s 2016 Best Colleges Guide, Carson-Newman makes sure to focus on the growth of every individual and their academic goals. The University was also named a “Great School at a Great Price” in U.S. News’ 2017 Best Colleges Guide. Carson-Newman is routinely recognized for its commitment to service, and is regularly listed on the President’s Higher Education Community Service Honor Roll, the highest federal recognition a college or university can receive for service. 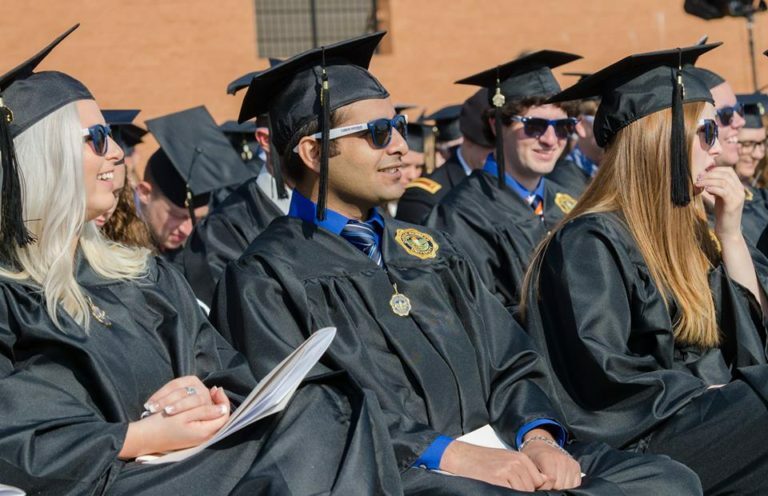 The University offers students 70 campus organizations, including honor societies such as Alpha Chi and Mortar Board, and 40 intramural sports. The University’s Community, Life and Worship program brings speakers, academics, artists, and other unique individuals and events to campus to integrate faith, learning, and community outside the classroom. Carson-Newman competes in 18 intercollegiate sports on the NCAA Division II level including basketball, baseball, cross country, football, golf, soccer, softball, swimming, tennis, track and field and volleyball. Summer Housing, Free Tutoring, Campus Ministries, State of the Art Ted Russell Hall Business Building, Blye-Poteat Hall & Maddox Student Activity Center, Appalachian Cultural Center, Center for Global Education, Bonner Scholars Program, and more! Note: This institution is a CGE Member. Click the link to learn more about the Benefits of CGE Membership. 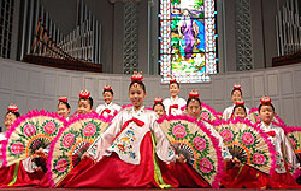 The Kidz Chorale, made up of 19 children on tour in the US from Central Christian Academy, Suwon, Korea, presented a beautiful program of traditional Korean music, pantomime, dance, and Tae Kwon Do Martial Arts while wearing colorful costumes. The group was accompanied by Rev. Joseph Kim, and several teachers from the Academy. While in the USA, the group toured and performed in churches, schools, theatres and theme parks from California to North Carolina. Before leaving Jefferson City they visited an elementary school in the area. The students arrived for a 16-week stay to participate in a special program between Ansan and Carson-Newman. While here, they studied at the English Language Institute in three segments: Reading and Writing, Grammar, and Speaking and Listening. They were assigned to nursing theory classes, participated in clinical practices in local hospitals and health services, and enjoyed many cultural experiences. Ninety-nine international students from twenty-six countries were enrolled at Carson-Newman University. International students participated in the Homecoming Parade carrying their country's flag. Four students from Namseoul University and thirteen students from Sungkyul University from Korea will participate in a special month long intensive English program in January. Ten students from Honam Theological Seminary and University in South Korea participated in a month long English camp in July. Global Service Corps provided scholarship aid to international students who promoted cross-cultural understanding among the Carson-Newman University community. Five international students from five different countries (Brazil, Bangladesh, India, Japan, and South Korea) were involved in service projects, speaking engagements, and international promotional projects on campus and in the local community. International Education Week was celebrated from November 14-17th. Diane Stokley, FEDEX VP for Customer Services Worldwide was the featured speaker. Approximately, 28 C-N students participated in a variety of study abroad programs in England, Mexico, Japan, Korea and Canada. 2 exchange students from universities in Japan were on the C-N campus for the fall semester and 1 for the spring semester. 3 C-N students participated in an ACA trip to China in the summer. 18 students and 2 C-N faculty members were involved in a trip to Belize. Danny Hinson, Director for CGE and Mark Brock, Director of the TESL program, visited C-N graduates and potential students at universities in Japan and in Taiwan. Dr. Chris Shon, faculty member at C-N traveled to Korea and Mongolia recruiting students, meeting with international alumni, and exploring new opportunities for new partnerships in Asia. A number of faculty and staff were involved in overseas teaching opportunities in China, England, Mongolia, Korea, Brazil, and Norway. Patty Kraft, Dean of the Nursing Division, participated in the Salzburg Seminar in Salzburg, Austria. New exchange agreements were signed with Ansan College in Ansan, Korea; Sungkyul University in Anyang, Korea; and with Huree Institute of Information Communication and Technology in Ulaanbaatar, Mongolia. In the Spring semester the Appalachian Center and the Center for Global Education will co-sponsor an evening of Readings by international students on campus.